A total of 45.2 percent of the installed capacity, which stood at 84,000 MW last year, was obtained from renewable resources. In recent years Turkey has been aggressively expanding the share of renewable energy resources in power generation with new investments. As a result of these heavy investment projects, the share of renewables constituted nearly half of Turkey's power generation. Last year, 65 percent of additional 100 megawatt (MW) capacity in power generation was obtained from renewables and the total investment amount in renewable resources reached $5.6 billion in 2017, Energy and Natural Resources Ministry General Director of Renewable Energy Oğuz Can said in a meeting in Ankara Thursday. Renewable Energy General Director Can elaborated on the transformation of the Turkey's renewable energy industry which was unleashed by new technologies at the Solar Power Roadmap Workshop organized by International Solar Energy Society (GÜNDER). Drawing attention to the significant emphasis on the policy to enhance domestic and renewables included in the National Energy and Mining Policy, Can said Turkey added a power generation capacity of 4,334 MW with renewables last year. He further noted that 45.2 percent of the installed capacity which stood at 84,000 MW last year was obtained from renewable resources. "Last year, Turkey allocated 3,000 MW in wind power. With Renewable Energy Resource Areas (YEKA) solar power plant with a capacity of 1,000 MW and 1,000 YEKA wind power plant projects, around 5,000 MW capacity was created in renewables. Accordingly, Turkey led the way in Europe with the highest renewable energy capacity creation," he stated. The director emphasized that the operational areas in renewable energy have been enriched in recent years. "Turkey is going through a dynamic transformation. We have reached 1,100 MW of installed capacity in geothermal power and Turkey ranks fourth in the world in terms of geothermal capacity and is listed among the top 10 countries in Europe with the largest solar and wind power capacity," he said. The stakeholders of the renewable energy industry closely follows global trends, Can underscored. He also said 2017 was a significant year for the renewables industry. Across the world, the investments in renewable energy have surpassed the conventional energy investments over the last three to four years. For the first time, solar power investments exceeded wind power investments last year. 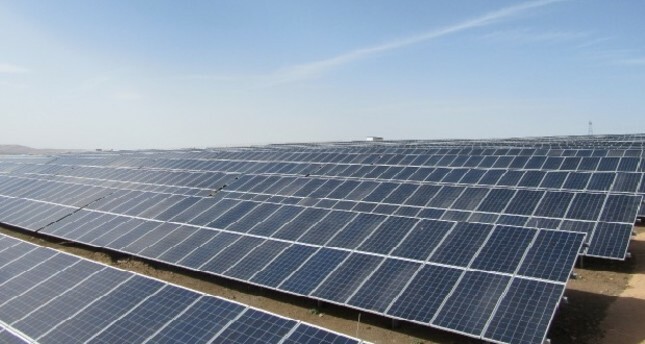 Kutay Kaleli, the chairman of GÜNDER, said the total installed capacity in solar power has reached 4,638 megawatts with 38 megawatts that were added last month. Indicating that the next five years should be planned in the sector, Kaleli said, "We expect our local producers, financial institutions, non-governmental organizations and professors from universities to share their knowledge and experience in order to contribute to the sector." SHURA Energy Conversion Center Director Değer Saygın said that Turkey, which has experienced a drastic change with its rapidly growing economy, increasing electricity demand, and increasingly competitive energy market, has become one of Europe's fastest-growing wind and solar markets. Turkey is a country that can play a leading role in changing the sector on a global scale with its industry and investors, Saygın said.